Now, in my sixties, I know just how short twenty years really are, and it makes me realize that many of those European Jews I knew back then were probably refugees from the horrors of Germany, Poland, Austria, and the rest of the countries being “cleansed” by the Nazis. Even the ones who were not new to the U.S.—who were not refugees from the war itself—undoubtedly had friends and relatives who were. They probably had lost parents, siblings, aunts and uncles, cousins. They probably shared their Sabbath meals with people who had numbers tattooed on their forearms—tattoos that the rest of us never knew about, thanks to long sleeves, shawls, and silence. Mrs. B was a huge woman; she stood about five-foot ten, at least, and weighed somewhere around three hundred pounds. She crammed herself, everyday, into a tiny office directly behind the sales area, directly in front of the baking and cake decorating area. Mrs. B was a tough boss; she paid low wages and expected complete loyalty, not to mention back-breaking physical effort. She was also, though, a very kind, sweet woman, with a quick mind and a ready laugh. Mrs. B had the most amazing eyes, and I’ve never forgotten them. They were large, heavy-lidded pools of sparkling chocolate. She cried easily, either from laughter or sorrow. When she took cake orders, something that only she was allowed to do since large orders required negotiation skills, she may very likely be brought to tears by the news of someone’s ninetieth birthday, or of someone else’s Bar Mitzvah. Sorrow and joy, she felt them both deeply. The other business that only Mrs. B could handle involved the ladies of the Hadassah who would come to order Challah, the huge braided bread that graced every Jewish celebration, or traditional sponge cake; or sometimes the ladies were making arrangements to use the bakery ovens to cook briskets and kugels for some large gathering. They deferred to each other, these Jews of my youth, giving kindness where they could. I thought, at the time, that these were simple acts of ordinary friendship, but I know they were more than that. In so many cases it was goodness where goodness had long been denied, and bread where bread had recently meant the difference between starvation and survival, life and death. We had other European customers—non-Jewish, recent immigrants—who frequented the bakery. I loved hearing all the accents; and I actually learned a few phrases of greeting in the various languages. I could say: “Hello,” “Thank you,” and “Have a good a day” in German, Polish, Serbian, and Hungarian. Not all of our customers were nice; we had the regular conglomerate of grouches and sourpusses: customers who claimed the rolls were too hard or the bread had too many poppy seeds. We had one old woman (a babushka) who would stick her finger into the center of a sweet roll to taste the filling before she would decide whether to buy it. Of course, if she rejected it, by scrunching up her face and declaring, “No! I no lika dat!” the roll went into the trash as soon as her back was turned. Some of the customers didn’t like each other because of old feuds between their countries, but they usually just politely ignored each other, exchanging only hard stares, seldom harsh words. Because underneath it all, they knew they were in the same boat, strangers in a new land, usually by choice, but often not by desire. I realize now how hard it must have been for so many of them. I often worked the morning shift, which meant I started at five a.m. A police car would pick me up so I wouldn’t have to walk the dark streets alone at that hour. In return for this service the officers selected pastries for themselves and the others at the station house. They’d exchange greetings with Mrs. B, take their goods and go, turning the sign on the door to OPEN as they left. Then our day began. The early morning customers were usually steelworkers, either on their way to mills or on their way home after a graveyard shift, dressed in blue or grey work suits, sleep still in their eyes, in a hurry because they had only seconds until their bus would pull up at the next corner. We worked as fast as we could: literally throwing sweet rolls and hard rolls into white paper bags. We kept the change drawer on the counter and didn’t even bother ringing in sales—we’d just figure the cost and the change in our heads and reach through the throng to give the right coins to the right person. Sometimes we missed, causing a short burst of protest, especially if we gave to an “enemy.” We might hear something like, “Hey, Lady! You givva my money to dat Polack! Wassamadda you?” And we’d correct our error. Two things these men might fight over were money and bread, and we, at that moment, had control of both. By about seven the mill rush was finished, all of the men who were headed to work had been delivered by the buses to their clock houses, where they punched in and started their dangerous days of hot, heavy toil. The men who were headed home were, no doubt, tucked up in their beds. Soon the women—wives, mothers, daughters, started filing in for breakfast goods or for pastries to be packed in school lunches. Often we would see pairs: a mother or a grandmother with a school-aged girl to interpret the transaction. Usually the interpretation would go well, but sometimes the younger person was already losing her facility with the old language, causing “Ma-ma” or “Nana” or “Oma” great consternation. The older woman would tell the girl to order sweet rolls, but the selection numbered dozens, and while she might keep saying “Punchka,” the girl would point to a cheese roll. “No!” the matriarch might yell. “Punchka! Punchka!” We sometimes did better just letting Ma-ma or Oma point to what she wanted. And, bread! God forbid that the young person would ask for wheat when rye was clearly needed! How quickly they seemed to forget, these children of the refugees. The language, the food, the customs, the trials and tribulations, were to the next generation what they were to me: ancient history. These children, natural born citizens, would hear the stories, know the people, even see the tattoos. They would understand to some degree the painful memories, but they would not have the same ingrained experience or the same need nor reverence for a simple loaf of bread. 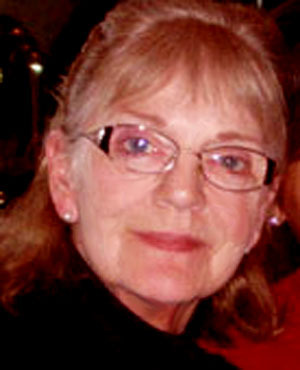 Freelance writer Evelyn Carlson worked as a psychotherapist for a number of years before returning to school to earn her Master’s degree in English with a specialization in creative writing. She taught college-level composition and literature for eight years before quitting to focus on her own writing. She lives in Arizona with her scientist husband and their strange but lovable dog. Enjoyed your article very much. Hope others enjoy it as much as I did. Keep up with the good work.May God Bless you. Evelyn’s piece is the most well written article. great story. great language usage. I have always wanted to express this exact sentiment.. Very good. Enjoyed the article. Looking forward to reading more from you, especially if it involves the “strange but loveable dog”! This is an excellent story; I can almost smell the bread baking. I enjoyed reading this piece tremendously.The fabulous description of details really make the story “come to life”.